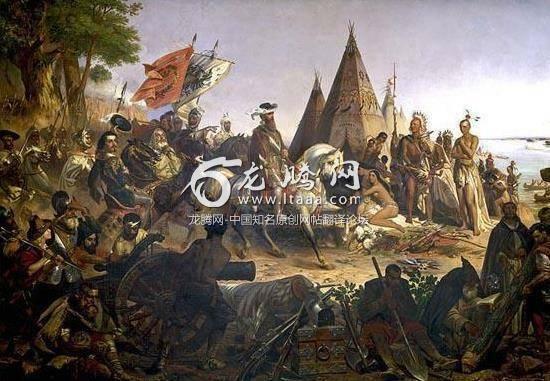 为什么中日不像美非那样成为强大西方的殖民地？ [美国媒体] How come China and Japan were not carved up into colonies by the technologically stronger West like the Americas and Africa were? How come China and Japan were not carved up into colonies by the technologically stronger West like the Americas and Africa were? China - too big, super huge populace, and unified by a very long civilisation. Modern powers agree to a split of influence, so no one was over-dominant. Fighting to conquer such a unified country would have enormous costs because they know the Chinese will fight back as one people, one culture, and one civilisation. They were satisfied to exploit China through spheres of influence, through various means and concessions. But China Qing dynasty did lose huge amount of land notably to Japan and Russia either through occupation or “unfair treaties”. Looking at the world map, modernised powers were bullies, or cowards,. They invaded and colonise all countries a century behind in modernity and military technology. The easy preys were so backwards with very little to fight back with against a whole arsenal of powerful super deadly modern weaponry. The Red Indians, most aborigines, the pacific, the carribeans, and other uncivilised societies were systematically brutalised, decimated, or exterminated, starting with the brutal Spanish. The US military policy even used starvation on an entire continent. By 1900, tens of millions of buffalo were reduced to under 1,000 to wipe out the local population as quickly as possible.